Anniversary Disc Charm by Rembrandt Charms. The width is 1 1/4 of an inch. Select the year, 1-75 in the "DROP DOWN BOX BELOW". 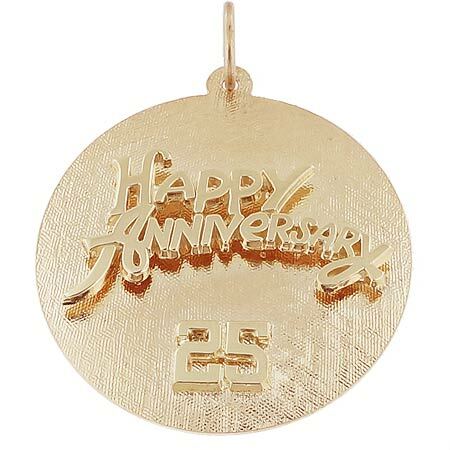 Tell her you'd marry her all over again with our Anniversary Disc Charm. Engrave a heartfelt message of love on back. All Rembrandt Charms are available in either silver or gold.